Retina Display vs. True Tone: What's the Difference? What we do on our computers has changed over the decades. No longer are they solely places where we type up documents and produce code. Now we stream movies, play video games, and read digital books. With this change in behavior came an effort to produce and sell better-quality displays. Apple, as the company is known to do, has done a good job marketing these changes in the technology behind our screens. It has coined the term Retina display since the iPhone 4. With the release of the 9.7-inch iPad Pro in 2016, Apple coined a different screen technology: True Tone. What’s the difference between Retina and True Tone, and do you need either one? Good question. Let’s take a look. “Retina display” is a marketing term that refers to a human eye’s inability to see individual pixels when viewed from a normal distance. Apple uses the name in reference to its screens with a high pixel density. As is the case with the term 4K What's the Difference Between 4K and Ultra HD? What's the Difference Between 4K and Ultra HD? Thinking of buying a new TV or monitor but feeling lost with all of the terminology like 4K and Ultra HD? Here's everything you need to know about it. Read More , Retina doesn’t refer to a consistent screen resolution or number of pixels. The iPhone 4 was the first Apple phone to have a Retina display. It had a resolution of 960×640 on a 3.5-inch screen. The resulting number of pixels per inch was 326. More relevant, though, is the number of pixels per degree. This number takes into account the screen resolution and the viewing angle. The iPhone 4’s PPD was 57. 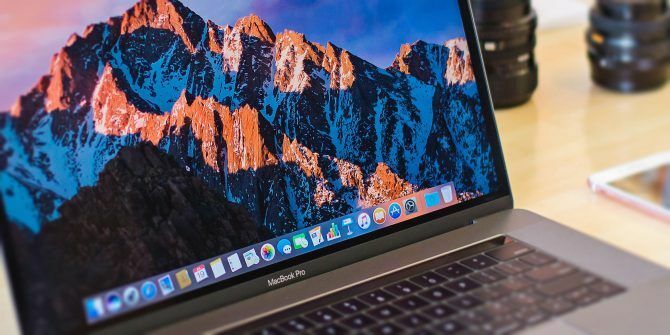 When the first MacBook with a Retina display launched in 2012 How Does The Apple Retina Display Work? [MakeUseOf Explains] How Does The Apple Retina Display Work? [MakeUseOf Explains] These days, people are crazy about the Apple Retina Display. Supposedly, it does wonders! A completely non-pixelated screen? Who would have ever thought?! However, many questions loom the supposedly revolutionary technological advancement. Is it really... Read More , it had a resolution of 2880×1800 on a 15.4-inch screen. The PPI was 220 (lower than that of the iPhone 4) but its PPD was 79. Now most Apple devices have a Retina display, but that doesn’t tell you anything about the number of pixels to expect. The screen size and resolution is very different on an Apple Watch than on an iMac. What the name does tell you is that you won’t see pixels unless you hold your eye up against the screen. Unlike terms like HD, 4K, and Retina, “True Tone” has nothing to do with the number of pixels your screen displays. Instead, it deals with color and contrast. The goal of True Tone is to make a white screen appear white regardless of the ambient light around it. The whiter the display, the sharper the contrast. Have you noticed that the light bouncing off a job may appear a little more red in the morning and a little more yellow in the middle of the day? No? That’s because our brains do a good job of filtering these colors out of what we see. If a screen does a good job of reflecting this light, our brain doesn’t know and still tries to filter what isn’t there. 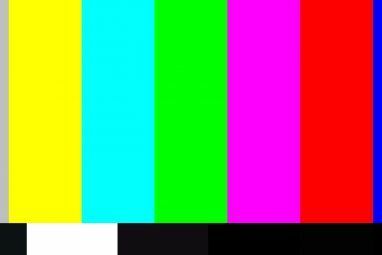 This impacts our perceived color of the screen. True Tone compensates by adding in extra warm colors so that, after our brains filter out some, what remains looks closer to a white sheet of paper. For this to happen, True Tone displays rely on sensors that measure the light in the surrounding environment. Software then responds accordingly, adjusting what you see on screen. Typically, white content on screens can appear blue when exposed to warm, indoor light. True Tone accounts for this. 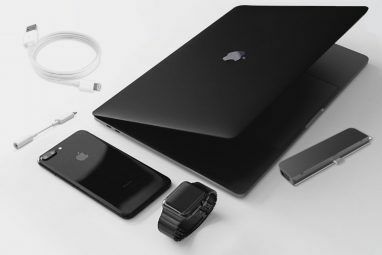 Are These Technologies Unique to Apple Products? Not at all. While other manufacturers don’t use the name “Retina display,” some do sell screens with higher pixel density. Any 13-inch 4K laptop is cramming a lot of pixels into a small amount of space, and you’re not going to see those dots from at your usual viewing distance. Apple does get credit for beating competitors to market. Windows laptops at the time topped out at 1920×1080, though the situation has changed in the years since. Likewise, True Tone’s functionality is available in non-Apple products. In this area, Apple isn’t even the first to market. Desktop monitors with color calibration software have offered this functionality for years. Likewise, Samsung Galaxy phones have offered adoptive displays with light sensors for several iterations. These companies just didn’t come up with a marketing name that stuck Apple Is the World's Best Brand... Again Apple Is the World's Best Brand... Again Apple has been named the best brand in the world again in 2016. Apple is therefore considered more valuable than Google, Microsoft, Samsung, and Amazon, amongst many others. Read More . Is it a big deal to own a device with either of these display features? That depends on your needs. I personally use a laptop with a 1920×1080 display. It doesn’t qualify as Retina or 4K, but it’s plenty sharp for me. I’ve owned a Chromebook Pixel in the past. Sure, that screen was prettier, but sometimes having such a high resolution is more trouble than it’s worth How To Install Linux On A MacBook Pro Retina How To Install Linux On A MacBook Pro Retina MacBook Pros come with some very nice hardware, but some people want more. Some people want Linux. Read More . Some apps aren’t designed with that many pixels in mind (though this is a shrinking problem). Also, old digital photos that look great on a screen with a lower resolution suddenly look much less ideal. If you work in an artistic field, those extra pixels can come in handy. You can see the images or 3D models you’re working with in greater detail. You also have an idea how your material will look on the most high-end machines. You may also enjoy having a prettier screen for movies and games, but this can be a double-edged sword. Movies and games at a lower resolution aren’t going to take full advantage of those extra pixels (some may even look worse). And for the time being, the vast majority of both will be at a lower resolution. As for a True Tone display, it’s a cool concept, but it doesn’t appear to make that big a difference in practice. If you hold two devices side-by-side, one with and one without True Tone display, you’ll likely be able to tell the difference. But if you only held one on its own, you probably wouldn’t notice. So if you get an Apple device that comes with True Tone, great. The feature’s nice to have. But if your device doesn’t have it, that’s no big deal. No need to rush out and replace your current model iPhone 8 Review: Smart Phone, Dumb Upgrade iPhone 8 Review: Smart Phone, Dumb Upgrade You can ultimately evaluate the iPhone 8 without ever picking it up, if you own a 6s or 7. It's a refinement of what came before, with unrealised potential in its wireless and fast charging... Read More . How do you feel about Apple’s Retina displays? What about True Tone? Are these features you want, and if so, why? Explore more about: 4K, Apple, Computer Monitor, Retina Display. Am I right in assuming that True Tone can't do what it's supposed to do when you have Nightshift enabled?